Last years Lateral-G SEMA Meet And Greet was a great success. 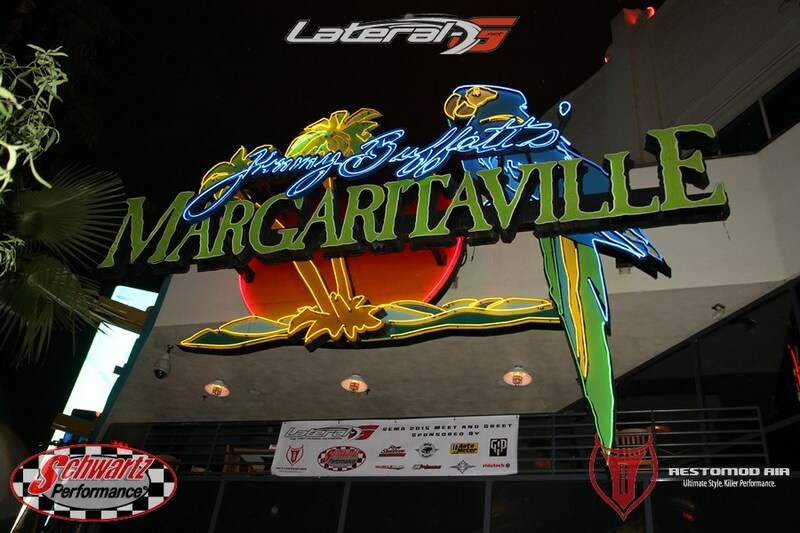 The event was held at Margaritaville in Las Vegas, during SEMA week. This year the Meet and Greet will be just as great! Like last year, we will have our own private room, a wonderful fajita bar with all you can eat food, a free drink, and seating for 130. There is a private bar, bathroom, and servers in the room. One wall is floor to ceiling glass for a great view of the strip. Mostly, it’s just a great place to hang out and meet other members of Lateral-G along with some of the top companies in the industry. If you’re going to be in Vegas for SEMA you really need to be at this party, it’s a great event! 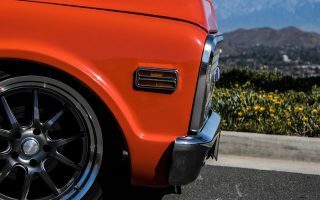 Thanks to the following sponsors for allowing this event to happen: American Powertrain, Baer, Classic Performance Products, Clayton Machine Works, Dakota Digital, Eddie Motorsports, Forgeline, GAP Racing, Holley, Lokar, Restomod Air, Rocket Racing Wheels, Schwartz Performance, ThermoTec, TMI Products, Torqstorm, and UMI Performance. Tickets are on sale now, and we’re limited to the first 130 people. Last year we sold out, so get your tickets early before they’re gone. Pick your shirt size below and add to cart for each ticket you purchase.